A cat and a dog live in the same house, but they are not friends. They fight all the time, about everything. Then disaster strikes. Dog's beloved ball bounces up into a tree and is stuck. Cat's precious stuffed mouse falls into the pond. Dog can't climb. Cat can't swim. What are they to do? 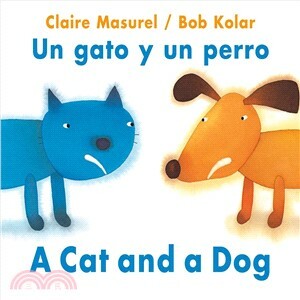 Claire Masurel's simple text and Bob Kolar's bright, bold illustrations combine in this charming picture book for the very young, a humorous look at the age-old battle of cats and dogs that demonstrates how a simple act of kindness can turn an enemy into a friend. Claire Masurel is the author of many books for children. She lives in Paris. Bob Kolar is an author-illustrator of children’s books. He lives in Kansas City, Missouri, with his family.